Contabilidade Financeira: Como os governos lidam com a dívida pública? ThE GREAT RECESSION fades from memory, but its effects linger. 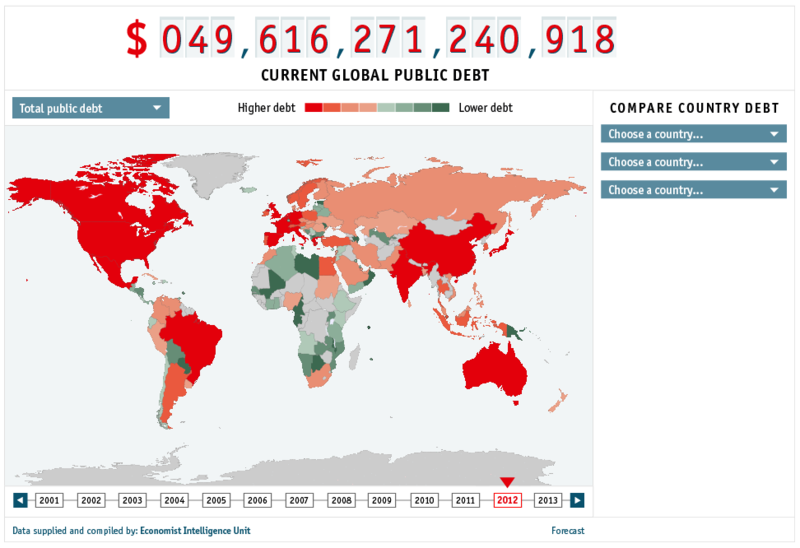 Nations around the globe still carry its legacy in the form of substantial public and private debt. How governments have dealt with such “debt overhangs” in the past 200 years is the subject of a paper by Carmen Reinhart, Zombanakis professor of the international financial system at Harvard Kennedy School; Vincent Reinhart of the American Enterprise Institute; and Kenneth S. Rogoff, Cabot professor of public policy. The authors say that many observers have forgotten about some of the tools that even advanced economies have used in the past to lessen their obligations. The aftermath of the recent recession was unusual, Carmen Reinhart pointed out in an interview, in that the levels of debt incurred were more characteristic of the accrued sums confronted in postwar periods like those following World Wars I and II, but the inherent recovery mechanisms typically seen at war’s end—the return of a larger labor force, the deployment of resources to economic goods rather than wartime production—did not apply. The reason that debt levels are now so high has everything to do with context, she explained. In addition to government debt, there was massive private borrowing by individuals and the financial sector in advanced economies around the world before the crisis; they took advantage of low interest rates to finance spending—a process now repeating itself in emerging Asia and elsewhere, she said. When sub-prime borrowers defaulted on their mortgage payments, financial institutions were left with the debt. Pension funds also carry large liabilities on their books, mainly related to demographic pressures associated with an aging workforce. “Dealing with Debt,” (with Vincent Reinhart and Kenneth Rogoff), Journal of International Economics, Vol. 86(1), April 2015, 543-555.